We are always ready to help! Ask a question or make an appointment for a pharmacist consultation. Wiltshire Pharmacy is here to serve! To be the most reliable and accessible primary health care destination for the people of Sarnia and Lambton area. To improve the health and wellness of our community by providing timely access to comprehensive medical and pharmacy and walkin clinic services . The healthcare and pharmacy world is constantly growing and evolving. At Wiltshire Pharmacy and walkin clinic , we make sure that our services are constantly up-to-date for our customers. After all, the needs of our customers are progressing as well, and we make sure that we can meet always meet these demands, 100%. 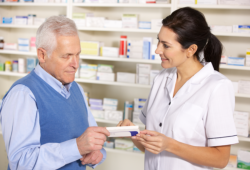 Wiltshire Pharmacy is here to provide you with exceptional pharmacy and medical services. We make your health needs our top priority. We are open 7 days a week and are always ready to serve with a smile on our faces! I always have a good experience here. The walk in clinic is easy and usually not too long of a wait. The pharmacy staff are wonderful too. They make everything VERY convenient. Able to fill and refill prescriptions online. It was the first visit and I have to say by far it was the best walk in experience I have ever had. The Dr's were very good and the pharmaceutical team was amazing. Thank you. Very efficient. Easy, quick, and helpful! Registered, diagnosed and prescription filled all in under 1 hour. We will be back for sure! Coming from a rural community I found everything to be impersonal here until I found this pharmacy. I couldn't ask for more from them and I'm picky. I am very pleased with the service I received at the Wiltshire walkin Clinic. I have been there a couple times now and it was very quick service and will save you waiting in emergency for something minor. It is great for minor issues if you do not have a doctor or if you need a referral or to fill prescriptions. Staff was very professional, short enough wait time (approximately 1 hour), very thorough physical assessment and questions. I didn't feel rushed at all. Prescription was ready and explained. The doctors & pharmacist were exceptional. Very helpful, courteous & kind. Quick, professional and fantastic customer/patient care! And open on Sundays! Fast and friendly service!!! Highly recommend!!!!! An amazing group of caring people! Will definitely be going back if I ever need to! Clean, fast and friendly. Like that u can go on a sunday. The pharmacist lets you know how many people are before you and gives u an approximate wait time. If its longer than an hr he offers to txt you if you dont want to sit and wait or if you have running around to do. Beats sitting in emerge hoping not to catch something while u wait. And they can fill your prescription right after you have seen the doctor. Never knew about this walk in clinic until a friend told me about it. The staff were very friendly. We were seen very quickly. Went to this new walk-in clinic and pharmacy this morning - I HIGHLY recommend it. Dr Ravi was friendly, thorough, and compassionate. The Pharmacist was very helpful and friendly and even told me he hopes I feel better soon when I paid for prescription. I have never had this friendly of service at a pharmacy. This will be my new Pharmacy!! I've been here a few times for the walk in amazing friendly staff and quick service. Much needed in Sarnia. Just got back from having my shingles vaccine. Ehab was absolutely fantastic in helping me arrange for it to be done. I highly recommend this Pharmacy and Walk-In Clinic. All the staff are very nice, accommodating and professional. Just a shout out to the Wiltshire walk-in clinic...I walked right in to get rx refills, saw a doctor online and got them pretty much right away...He also ordered blood tests and a mammogram...This service is very effective and efficient! What would've taken hours at emerge took me 45 minutes including getting the refills in my hand...Awesome service! I've been in to this clinic twice and I can't say enough good things about it. It's a simple operation, the staff is so helpful and nice and it's never taken me more than 40 mins to get in and out. Compared to wait times at the hospital or doctors offices I think that's fantastic. They fill your prescription within minutes and you're on your way. Both times I've been in, the doctors have taken their time, asked lots of questions and are very thorough. I would definitely recommend to anyone looking for an alternative to hospitals and doctors offices. This is a great service for Sarnia. We arrived at 915am, and were finished the whole process by 10am. We accessed the clinic for a child's ear ache- emergency departments should not be used for minor illnesses. I will definatley be using this clinic again. The Dr and Pharmacist were more than helpful. I went in the Wiltshire pharmacy not knowing what to expect . A few of the reviews I had read were not positive . I arrived close to closing time and was asked if I could return tomorrow morning as there were 4 people ahead of me. I could not as I had an appointment in London the next morning so the pharmacist asked the doctor if he could take me tonight. I saw the international doctor who examined me, took all my information, analyzed my urine and sent it to Dr. Ryan in Toronto. We then called Dr. Ryan on a television screen who after analyzing all the information informed me that I did have an infection and prescribed medication. The medication only took minutes to obtain. Very good service! Would highly recommend going to the Wiltshire pharmacy. Horrible 2.5 hour wait. Video chat with a doctor was completed and tests completed on site. Very professional staff, completed their job perfectly. Someone was training, hope this was the reason it was so slow. Had a bad review and received a call immediately to resolve the problem. Very cool concept, would be 5 Star review, when more rooms/appts are available this will be great! The staff is very friendly! I am sure this will become a very busy place! Great that you can leave with your prescription ! We used since our Doctor could not see for 5 days. Not an emergency either! Pleased with telemedicine set up! The new doctor was amazing , staff was really friendly , great pharmacy . If there was someone dedicated to reception/patient processing it would have made it perfect. Highly needed service in Sarnia and all involved were highly professional. Just used the walk in clinic, I recommend using this clinic. Staff very friendly and overall very satisfied with my experience today. No more waiting at ER to be seen by doctor. Awesome experience. Very thorough. Staff was very welcoming. A much needed service in town! My husband and I are so impressed! Not only is the location convenient but the best customer/patient care I've seen and received in a long time. Love how this store is incorporating new age technology and allowing us use the smart phone app to send in our prescriptions as well as texting to store directly to fill prescriptions. On both occasions that my husband and I were due to fill our prescriptions, Ehab had texted us a head of time, a few days in advance to ask if we needed them to be refilled and if he could go a head and do so! How great is that? We're happy to support local and small business'! Wiltshire Pharmacy will fill your prescriptions right at our pharmacy. You can take advantage of the huge price difference between the cost of medications between the US and Canada. Rest assured, the quality is the same! Would you like to ask a question about your prescription medication? Send a message online or give us a call. *please note that during the holidays, clinic may stop accepting patients at earlier times… please call to check!